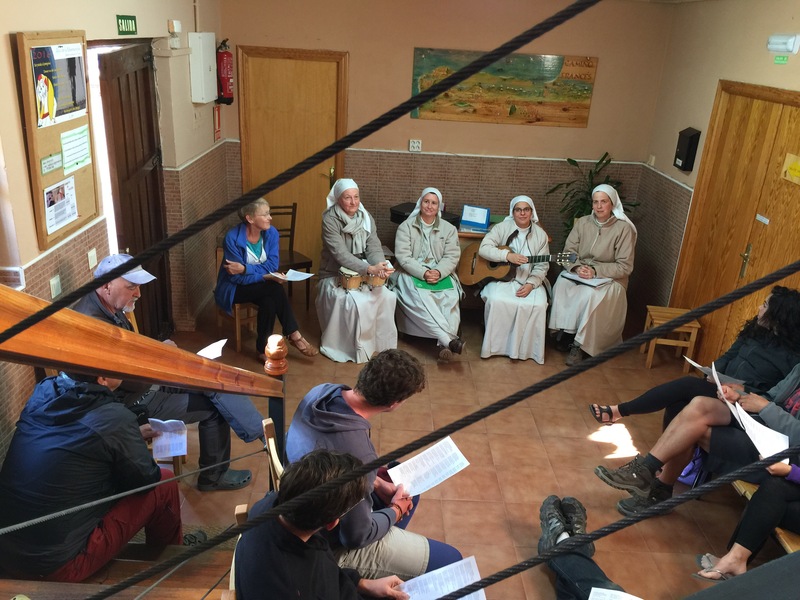 There﻿ is a sweet place in Carrión de Los Condes where the sisters will sing with you. 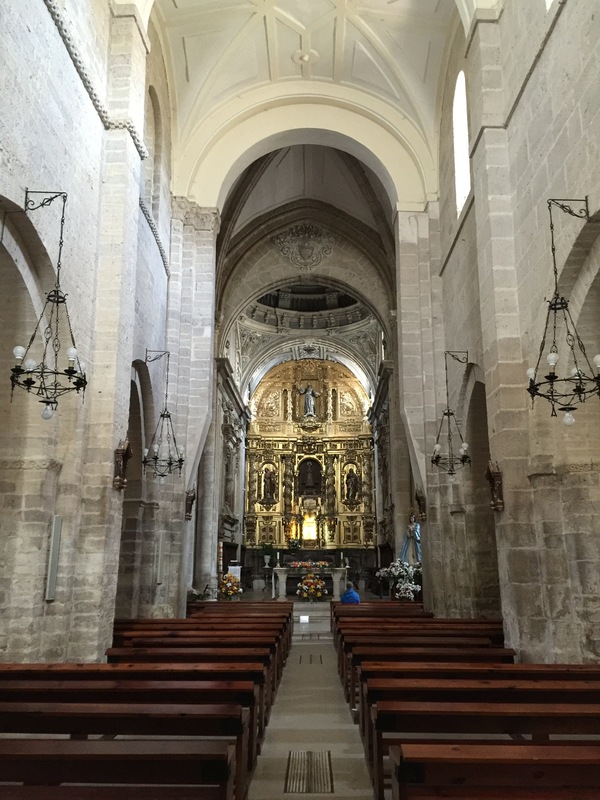 They offer Vespers in the Santa Maria church at 5:30 p.m. They prayed for the dead and asked the saints to remember us. And the singing was angel-like and therapeutic. But afterward, in their albergue, they sang and played guitar to accompany songs on song sheets. And we all sang together. And it was wonderful to sing in a truly international community of pilgrims. After Mass at 8:00 p.m., all pilgrims were invited to the altar for an individual blessing.